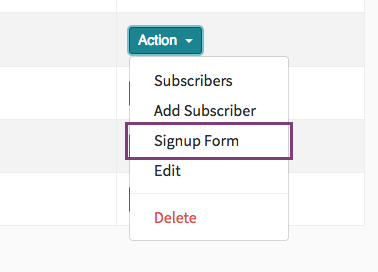 To build an embedded Form for any List, simply click on that lists action and select "Signup Form"
The form builder lets you select some options for what the form will look like. 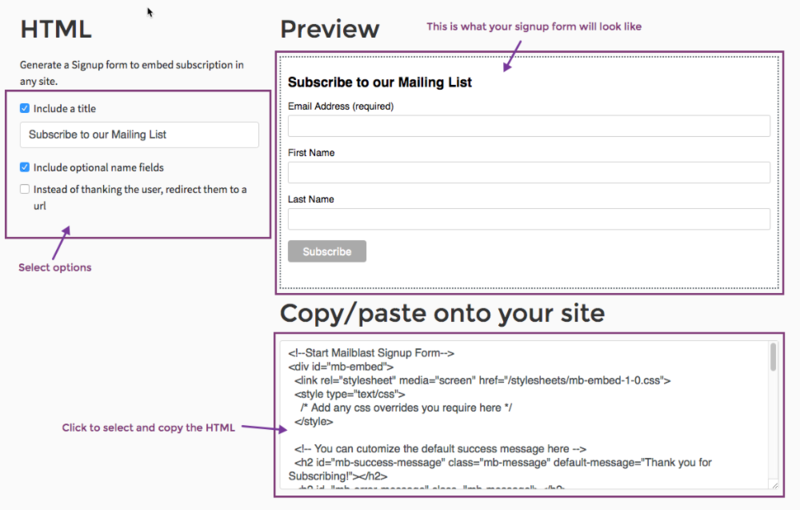 Simply copy paste the generated HTML and embed it in your website. Any users who signup to the form will be added to the list.